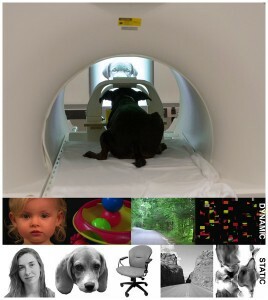 CPT and the Emory Canine Cognitive Neuroscience Laboratory are enrolling a new team of dogs for our safe, noninvasive, fun, and exciting fMRI and behavioral research projects. 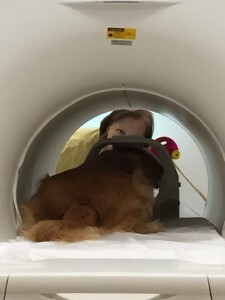 The projects, which are funded by the Office of Naval Research (ONR) examine canine cognition, emotions, sensory perception, receptive communication, and inhibitory control. In addition, the team plans upcoming studies on reward systems and jealousy relevant to improving the training protocols for pet owners and studies on olfaction relevant to the performance of police narcotics detection dogs and military explosive detection dogs. If your dog can perform a solid down stay and is comfortable with grooming, noises, enclosures, and heights, then CPT and Emory encourage you and your dog to participate in an upcoming Tryout. To participate in a Tryout, please first click this link that sends you to an online enrollment form. 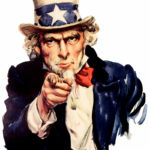 Once completing the form, a CPT or Emory representative will contact you to schedule your dog’s tryout. We hold tryouts on Sunday afternoons at the CPT Sandy Springs Training Center. For a recent experiment, dogs were trained to station within an individually customized chin rest placed inside a stock human fMRI neck coil. Images were then rear projected onto a translucent screen placed at the end of the magnet bore. In the dynamic stimuli runs, color movie clips (3-s each) were shown in 21 s blocks of human faces, objects (toys), scenes, and scrambled objects. In the static stimuli runs, black and white images (600 ms on, 400 ms off) were shown in 20 s blocks of human faces, dog faces, everyday objects, scenes, and scrambled faces. The dynamic stimuli runs were used to localize a candidate face region in the temporal cortex of dogs, and then the static stimuli runs were used to independently test the face selectivity of this region.